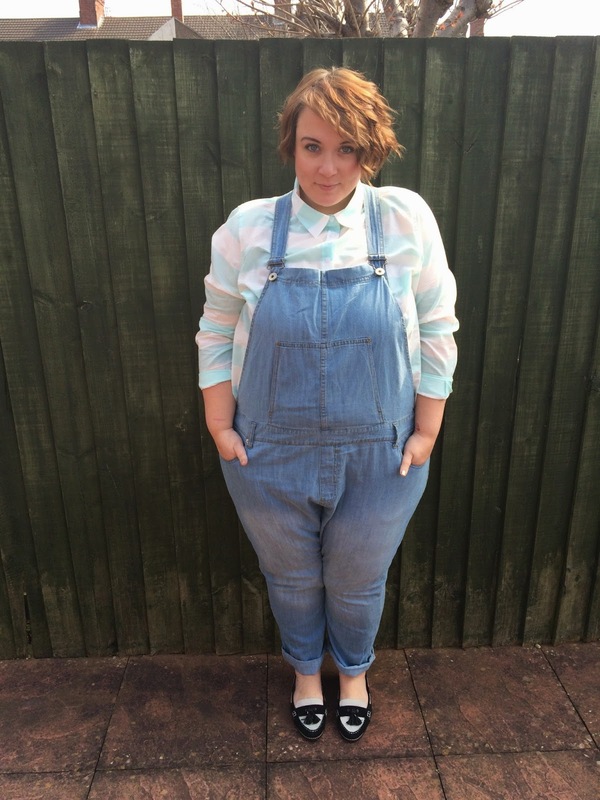 Style: To Wear or Not to Wear - Plus Size Dungarees. 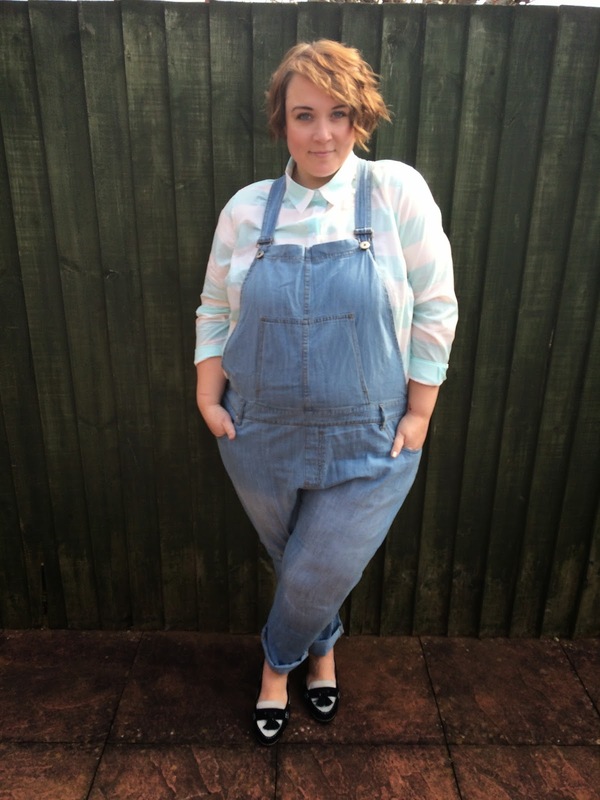 It's true that jumpsuits are one thing, but plus size dungarees? I know, the prospect is a little scary right? I guess they're just one of those marmite garments that you'll either embrace whole heartedly or swear off as hideous. As you can imagine, for me, I love them, it's just another excuse for me to dress like a toddler! Having said that, as you might have seen in my monochrome post a few days ago, they can look really sophisticated too. Today's offering? Not so much, it's fun, it's playful and does not care one little bit! 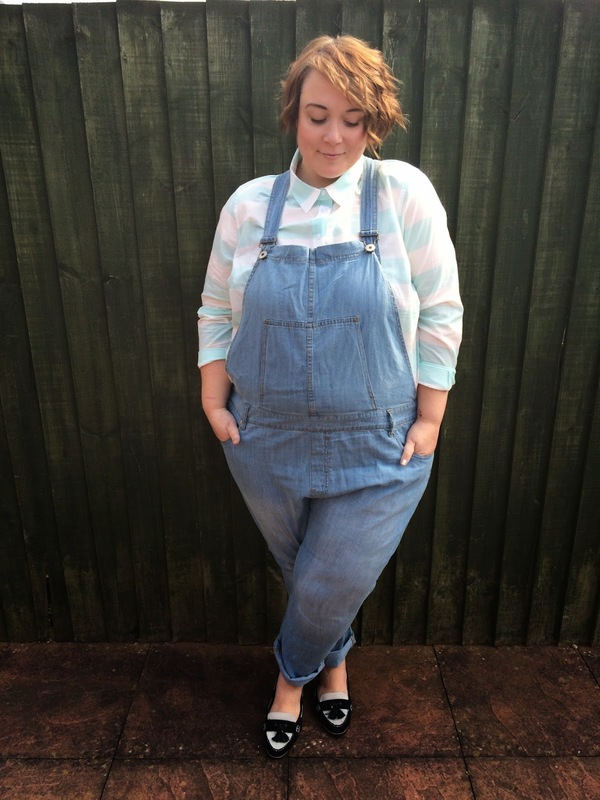 I teamed these Simply Be Dungarees with the cute George at Asda candy stripe shirt from my capsule wardrobe post the other day. My shoes are from Miss L Fire, they're about 4 years old, but these ones from ASOS are super cute too. 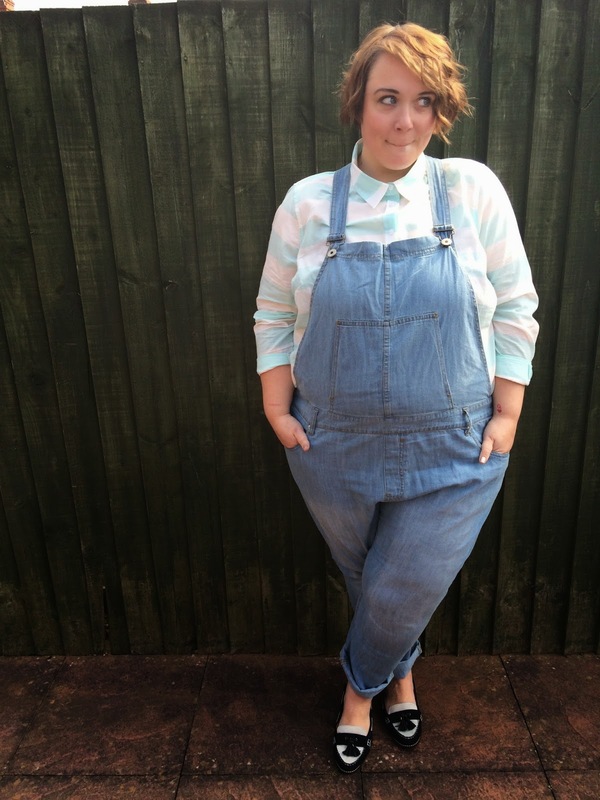 I'm obsessed with dungarees and forever looking for them in plus size brands. You look gorgeous in yours! You look great in yours! I think a shorts version would look better on me though! I love 'em! I would like two pairs, shorts and full length. I'm thinking grey & black!! I hope I can find them! Look always look smashing in yours!